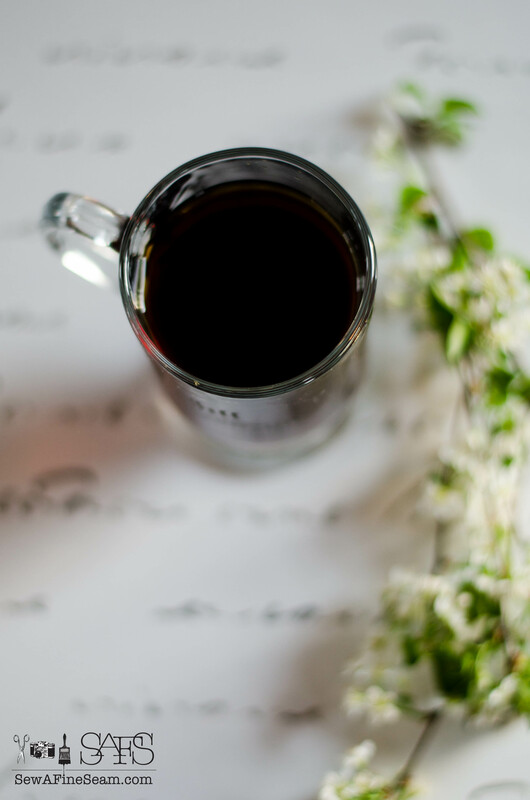 The term conjures up visions of morning coffee (or tea if you are truly English) overlooking an English garden, with the morning sun just creeping over the horizon and sending shafts of warm, soft light to caress the face of the person sitting at the Morning Table. The misty fog is lifting and the slight chill of night is quickly burning off as the sun makes its ascent into the sky. Birds sing and frolic at the nearby feeders and birdbaths. The flowers glisten with dewdrops and fill the air with perfume. 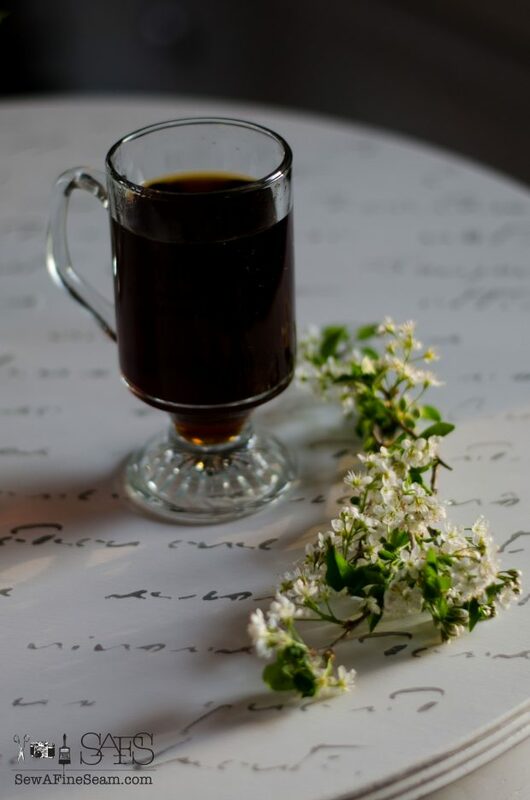 The aroma and rich boldness of the coffee,(or tea) along with the garden and springtime air brings the lady of the house to full wakefulness, and she rises from her seat, opens the tiny drawer of her morning table, removes a pair of garden gloves and sheers, grabs a basket sitting nearby, and moves into the garden to clip a few flowers. Flushed from her walk around the garden, and her basket brimming with flowers the lady returns and leaves the basket on her morning table and sets off to find some vases to hold the flowers. 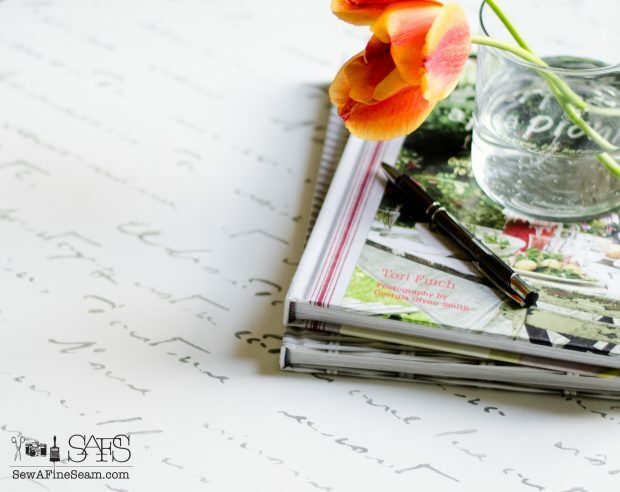 As the morning progresses, the lady reads a few books, then mid-morning she returns to her Morning Table to write a few letters and address the invitations to a party she is hosting on the weekend. 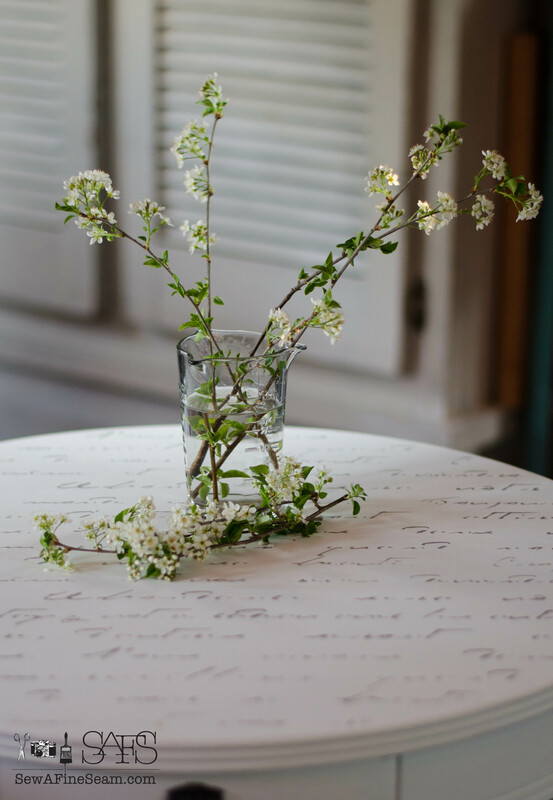 Do you feel transported to Jane Austen’s 19th century England? for awhile now but never actually signed on for a project yet. This months sounded fun, and there was room for more of us to join in so this month was it for me! 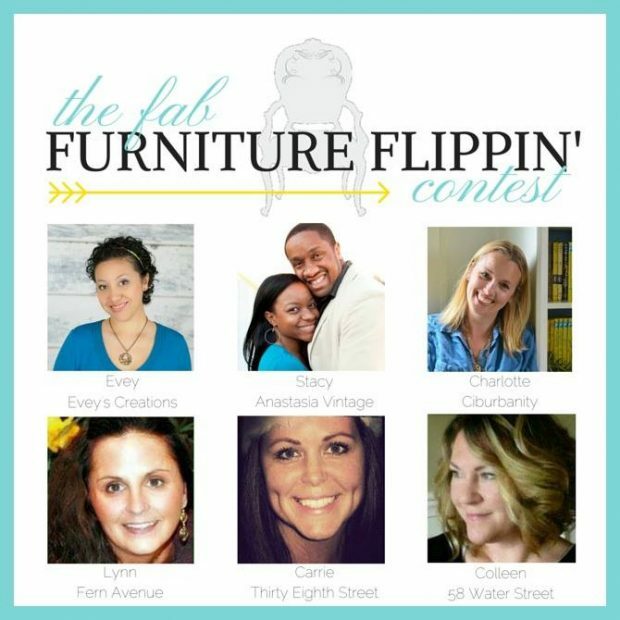 Each FFFC™ contest is sponsored by a company and the contestants receive products to use in their Fab Furniture Makeovers. This month the sponsor is Pure and Original. This company has an array of products from mineral based furniture paint to wall paint to floor paint. Bookmark their page to check out all the options they offer you! 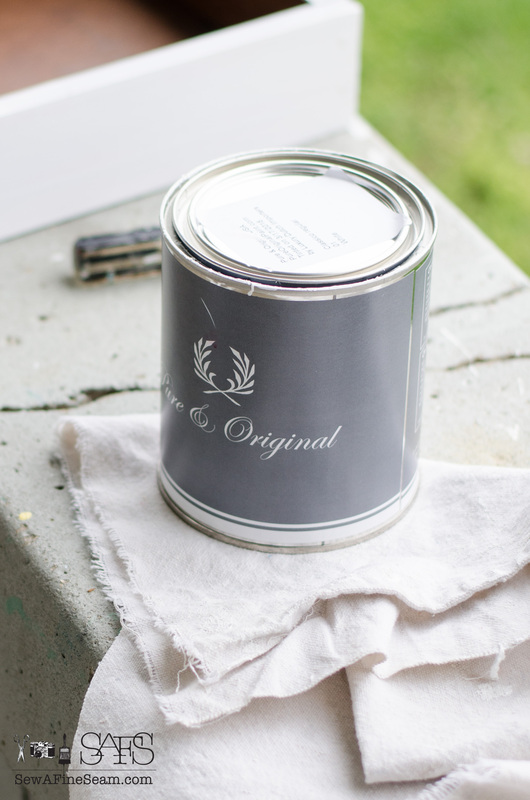 Their paint brand goes perfectly with this months theme – did I mention that each months project gets assigned a different theme?! Lots of fun stuff going on in this group! Our theme – Pure Colors, Original Elegance. This table has been in my living room for a few years now. I originally painted it with Milk Paint and used it as a side table. 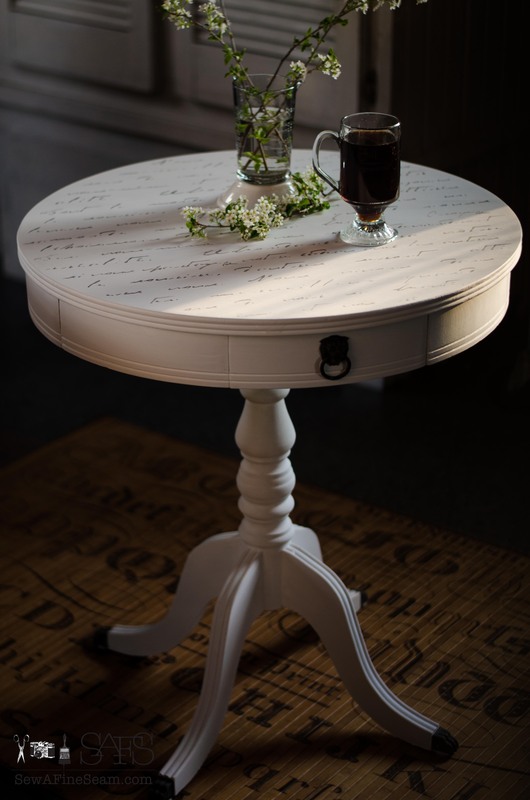 It’s just a bit large for a side table, but too small to use as a kitchen table. 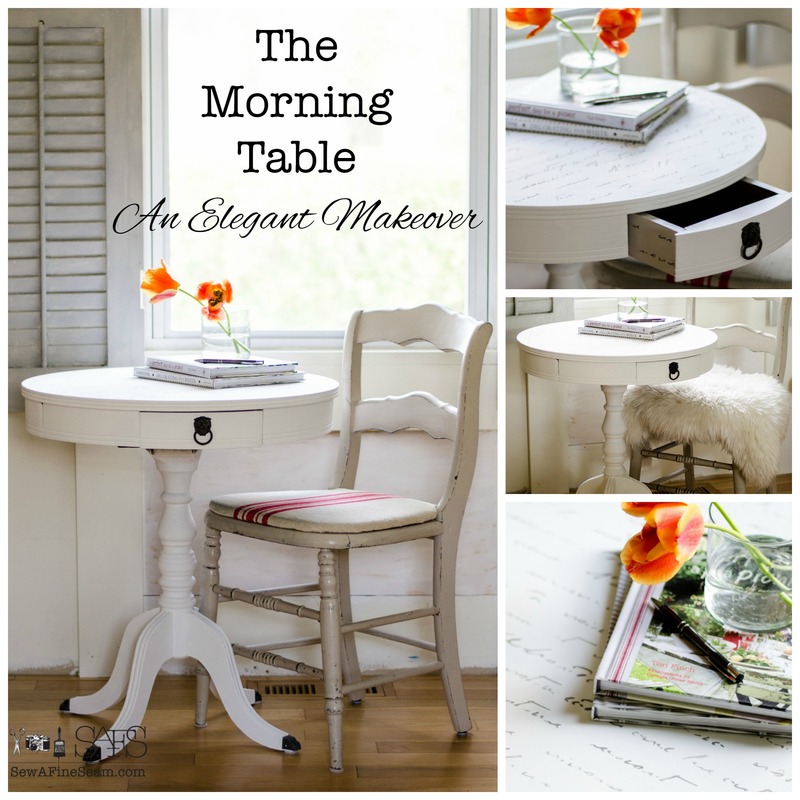 Thus the idea of the Morning Table was born as I worked on giving it a new makeover. 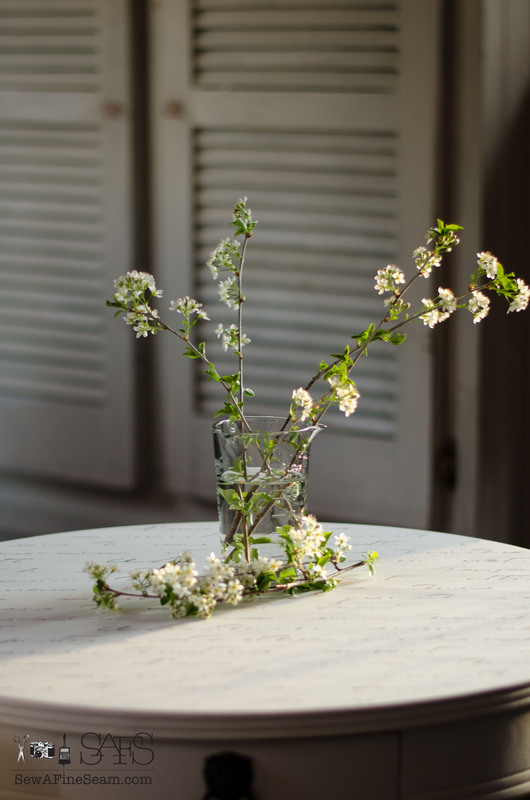 Did you know that if you put a glass cloche over a living plant, the plant will water itself? The cloche creates a miniature greenhouse for the plant. Did you also know that if you put a cloche-covered, living plant on a piece of furniture and leave it for too long it will mess up the finish on the furniture? It will. See the proof in the above pics? The worst spot was created from a small cloche I put over a plant on this table last spring. If you look closely you can also see the ring from a large cloche that I used over my resurrection garden this spring. Also, I was getting tired of the chippy look the finish of the milk paint created so it was definitely time for this piece to receive a makeover. 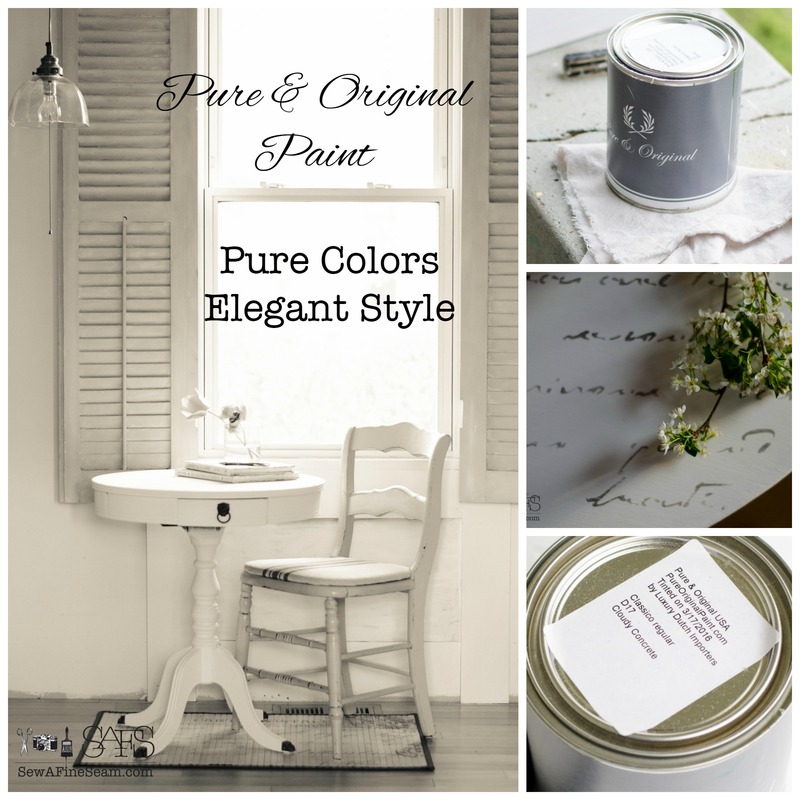 A Pure Colors, Original Elegance makeover. I chose white as my main color for this piece. I also added the details in a gorgeous color called Cloudy Concrete. This paint is 100% mineral based and went on very easily. I did use 3 coats to get the coverage I wanted. 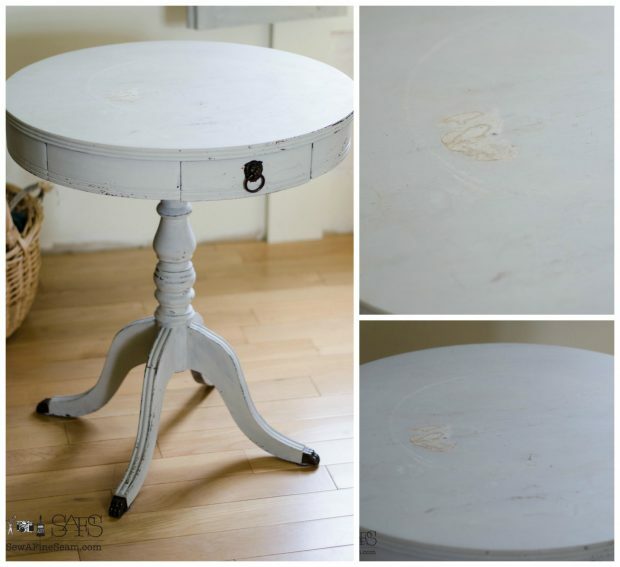 No distressed look for this piece – I was going for Pure and Elegant! Although I didn’t want to distress this piece I did want a bit of elegant detail. 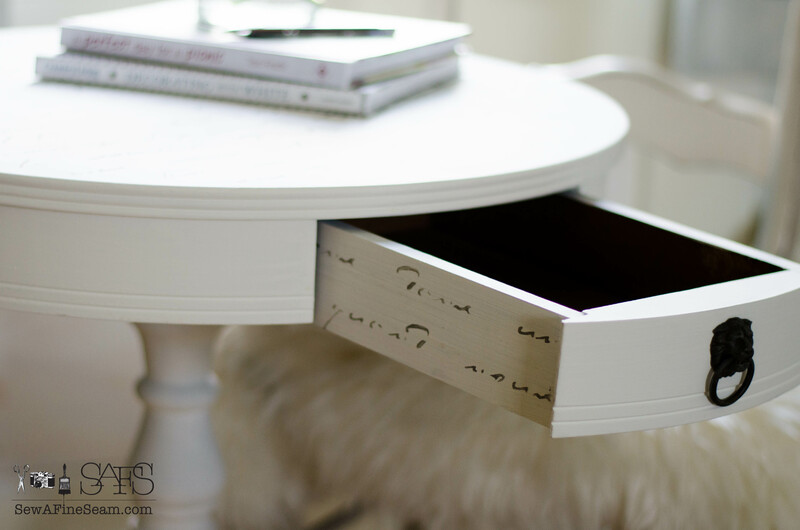 I decided to use a french script stencil I had in my stencil stash to detail the top. I used the Cloudy Concrete color for this and a stencil brush. I used the bare minimum of paint – a very dry brush so there wasn’t smearing and the print looks elegant and handpainted. 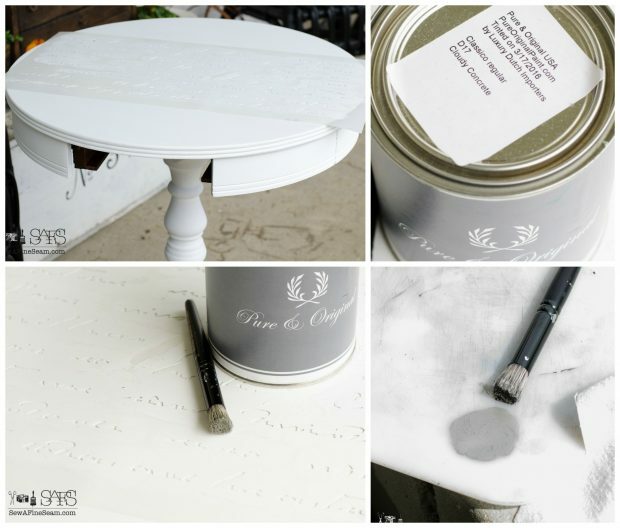 The stencil fit the center of the table and after stenciling that part I filled in the edges till I was happy with it. For a bit of whimsical fun I added some script to the sides of the drawer. 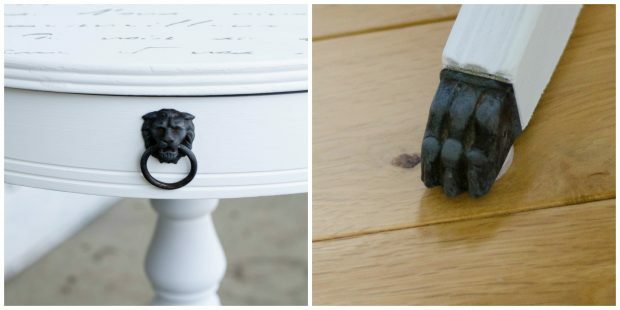 The lions head drawer pull and lions paw feet got a bit of dry brushing with the Concrete Grey to make them blend with the script detail. Even the theme makes me think of England! This months edition of FFFC™ is hosted by Thirty-Eighth Street and Anastasia Vintage and I’m linking this up there along with all the other participants this month! Here are all the lovely ladies who are the wind beneath the winds of this group! Thank you so much ladies! 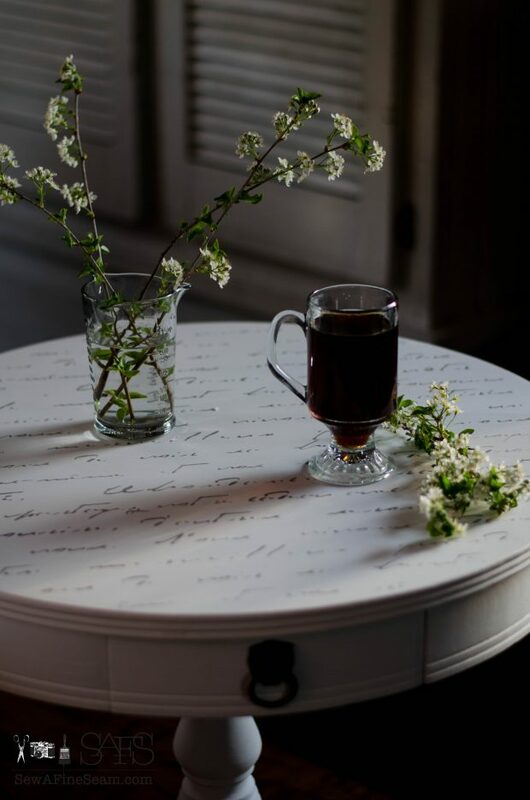 Now I think I’ll sit down at my Morning Table with a cup of hot coffee – and since I don’t have an English garden to gaze upon I think I’ll go visit all my friends and see what they did for their makeovers! And I think you should too! See the linked posts here or here. 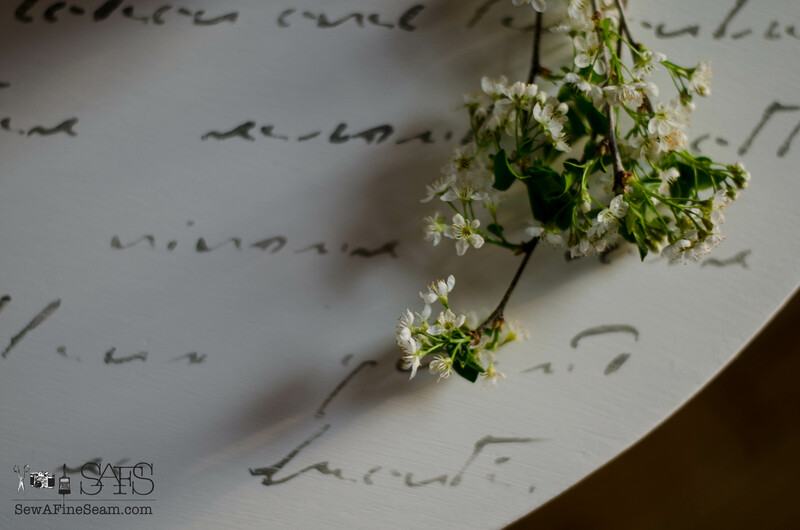 Thanks Lucy, I’m glad I did too – I love how this table looks now! I love the dainty french script you used on this little drum table Jill, elegant for sure! Thank you Brenda – this is one of my very favorite stencils! Reading the first several paragraphs had me floating through fairyland! And the pictures added to the euphoria. Well done, Jill! Thank Mom! I want to go to the English countryside someday! 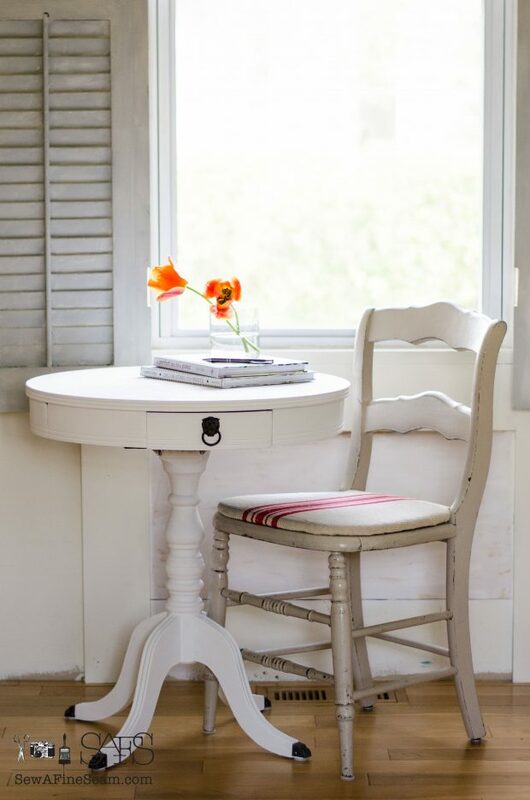 Lovely table, it is adorable. Great job and flip! Thank you so much ! 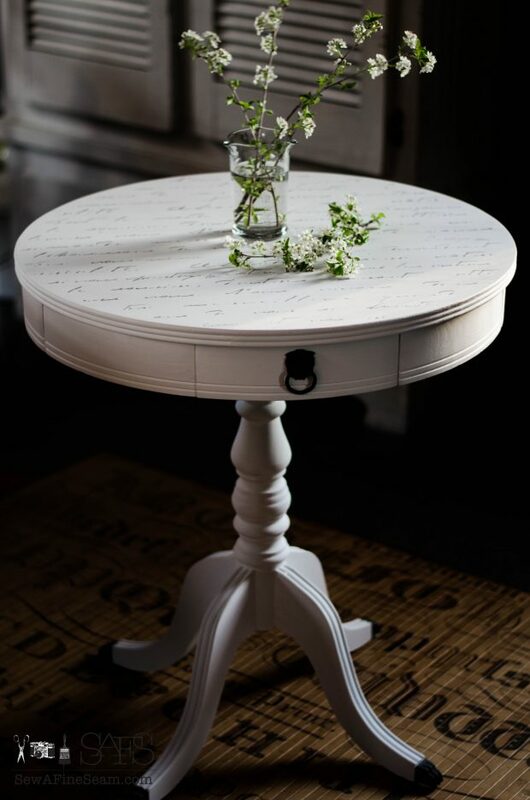 I’m loving the simple elegance of this table! 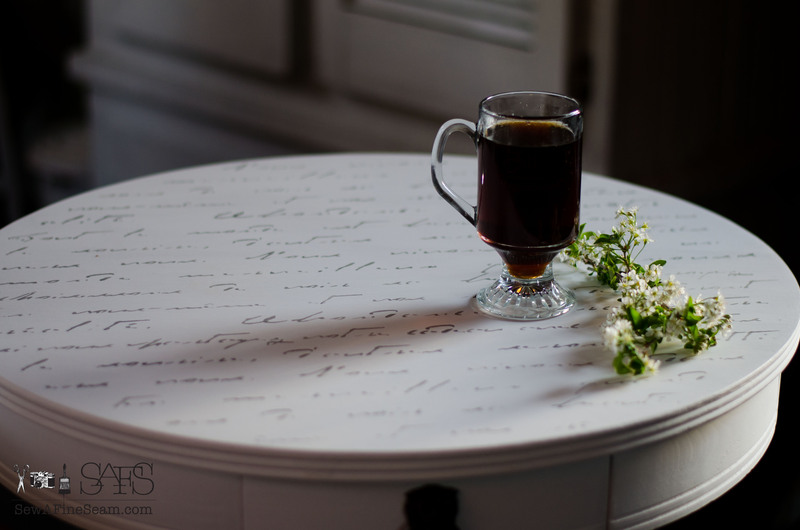 Well, if this is a morning table, then I like morning tables. It looks great in the white and I love the accent color. 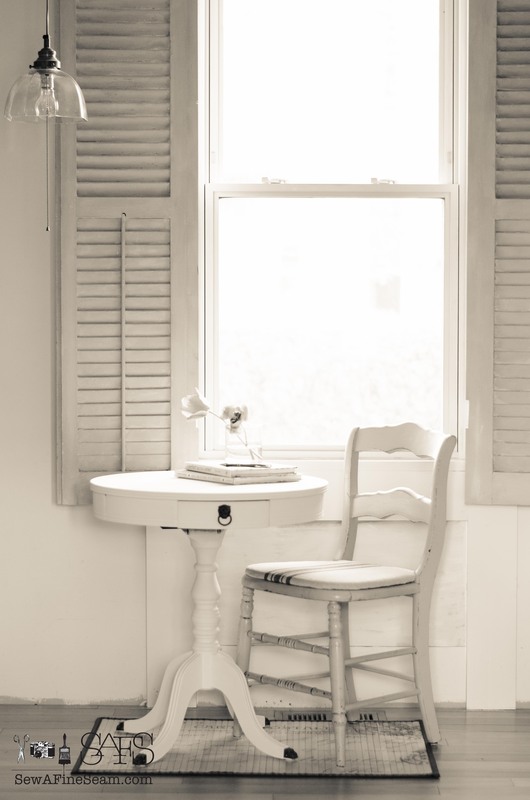 Thanks Karen – the idea of the morning table evolved as I worked on it and when I placed it in front of my shuttered window I could just see any of Jane Austen’s characters sitting down there for their morning tea. 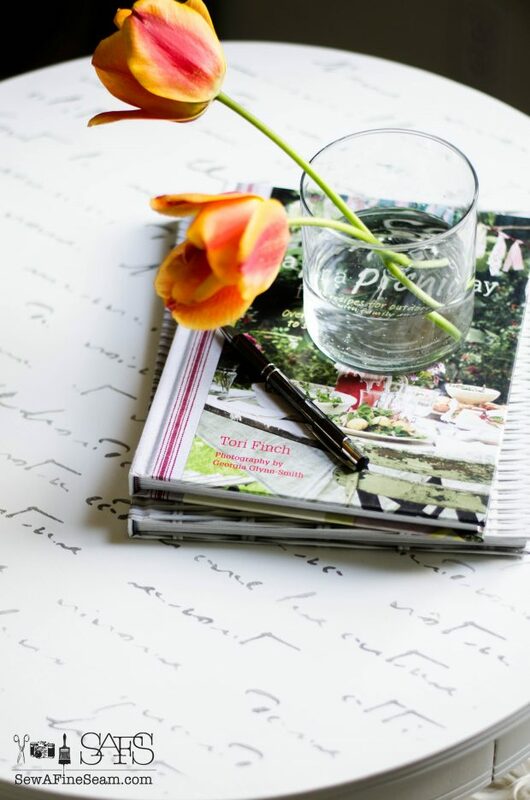 Or to write a letter midmorning. Thank you so much Cynthia, it was fun to see this tables elegance emerge as I worked on it! Jill!!! 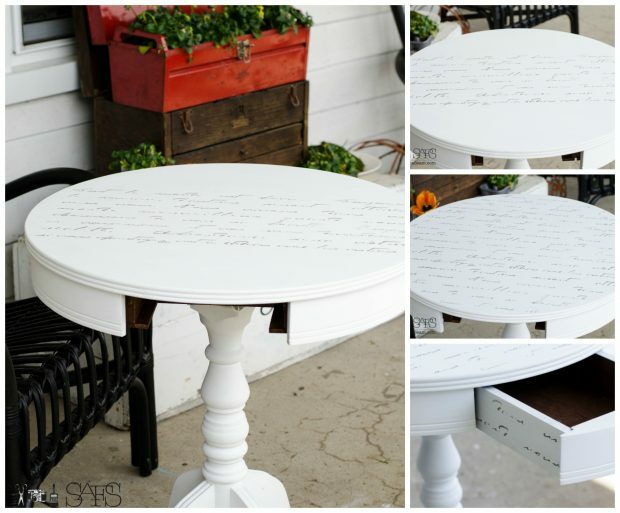 I love how your table turned out!! Where did you get your beautiful stencil? I have been wanting to do something like this for a long time. I so love your story, taking me back to Jane Austin…love her books! !